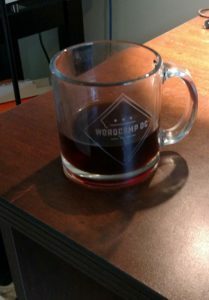 My Pride and Joy – a WordCamp DC Mug! It’s been 5 days since I stepped foot into the stunning Carnegie Library for my first WordCamp. It has left an impression. I want to talk about a few of the things that stood out. I am in awe at the supportive response to my session. I did not know how it would go over. I didn’t know if I’d get 100 people in the room, or 3. I was so thrilled to talk to everyone about it afterwards. My Slides: Because everyone needs to be reminded of the most adorable child ever. WebAim: This is the accessibility organization that introduced me to the concept in the early 2000s. They have an “accessibility checker” called WAVE. It’s not perfect, but it’s a start. Knowbility: This is a nonprofit committed to services and training to make technology accessible. Accessible Joe (@AccessibleJoe): A WordPress developer passionate about accessible UX. WordPress Accessibility Team: Because we need you. Benjamin WordPress Theme: I learned about this theme on Friday morning during the sites.gov session with Kyle Jennings. Just Say no to Screen Reader Analytics: My treatise on why screen reader analytics may not be a good thing. WordCamp DC was the most accessible tech conference I’ve ever been to. It also ranks high among all conferences I’ve ever been to. Including accessibility conferences. The WordCamp DC team is committed to accessibility from the beginning. They don’t tack it on as an afterthought or to make sure they are minimally ADA complaint. It is a core value. Every speaker session had very effective, easy-to-read closed captioning. I personally don’t need closed captioning. But its presence made it easier to follow and understand more complex presentations. The Carnegie Library is an old building with lots of inaccessible pathways. But all accessible entrances, bathrooms, and elevators were well-labeled and easy to find. There were two sessions (mine included) that were all about accessibility. That’s one more than any tech conference I’ve ever been to, and two more than most. In at least three other sessions I attended, accessibility was part of the regular conversation. Accessibility wasn’t pushed into a separate space with its separate interests and separate people. It was part and parcel to everything. As it should be everywhere. I am an introvert. Conferences make me uncomfortable. It’s rough, even in the most welcoming environments. I have to plan my down time. I spend a lot of time in the bathroom, just so I can be alone for five minutes. I might last 20 minutes at a networking event/party. Not so at WordCamp DC. At the WordCamp after party, I sang Karaoke with three people I’d only met that morning. I left close to 11:00pm, a new personal best. The person I was sitting next to, who I spent much of my time with, said “It’s nice seeing you again.” We laughed. We’d met for the first time two days ago. WordCamp is not a software or tech conference. It is a community conferences. It’s been said that you don’t notice the best User Experiences. Because everything just goes. 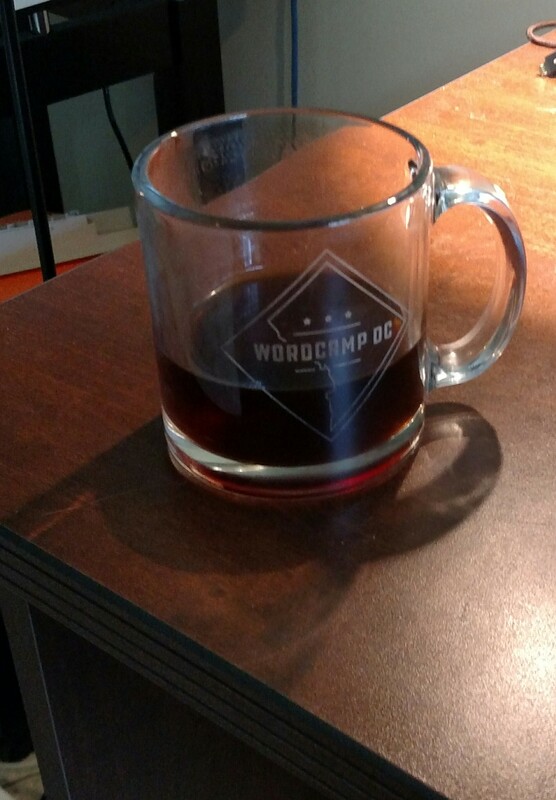 That was WordCamp DC. I don’t specifically know what they did. But it probably wasn’t easy. And they did it right.